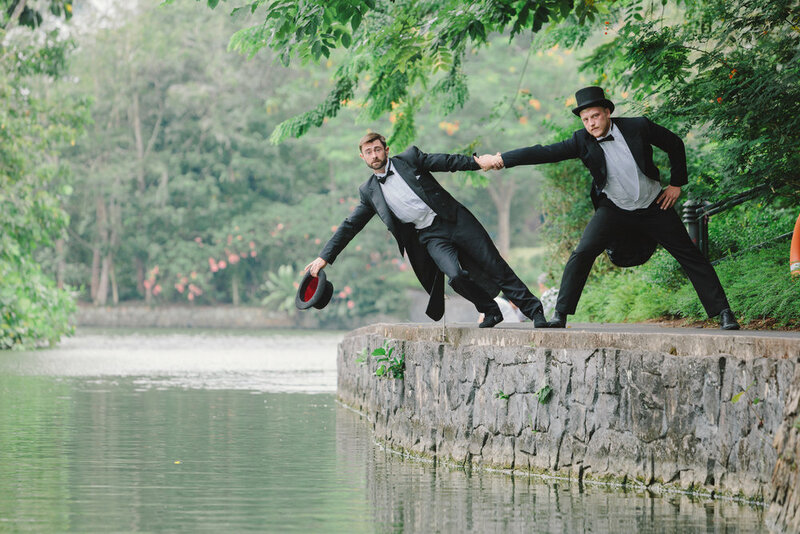 Two sophisticated gentlemen, possibly the most sophisticated and eccentric gentlemen you will ever meet bring you the most dangerous act ever conceived. 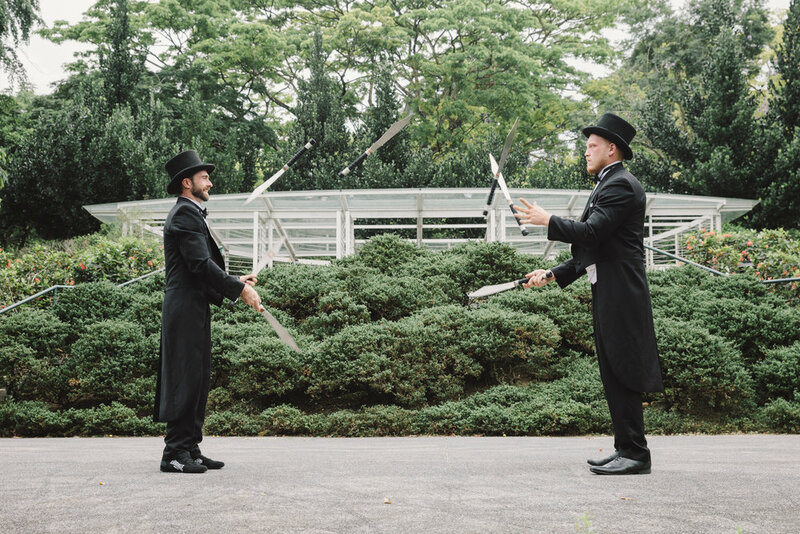 Acrobatics, Magic and juggling combined with razor sharp knives and a bear trap! You may have seen juggling but you have never seen juggling like this! 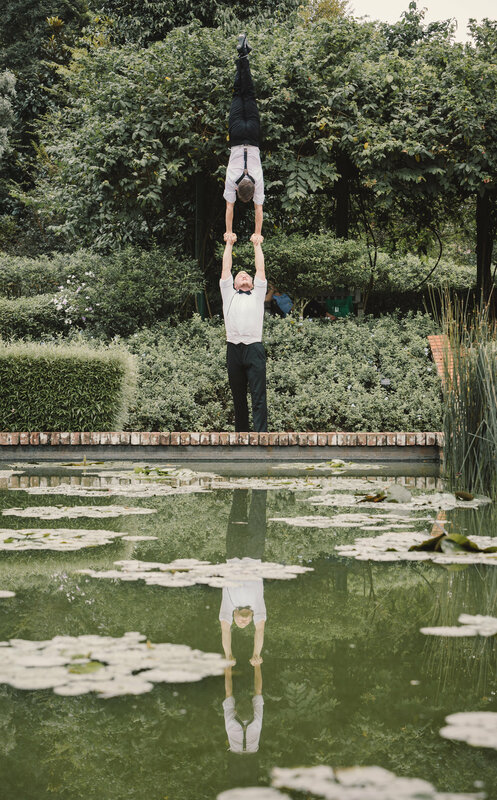 These unique circus entertainers are bound to entertain all your guests. 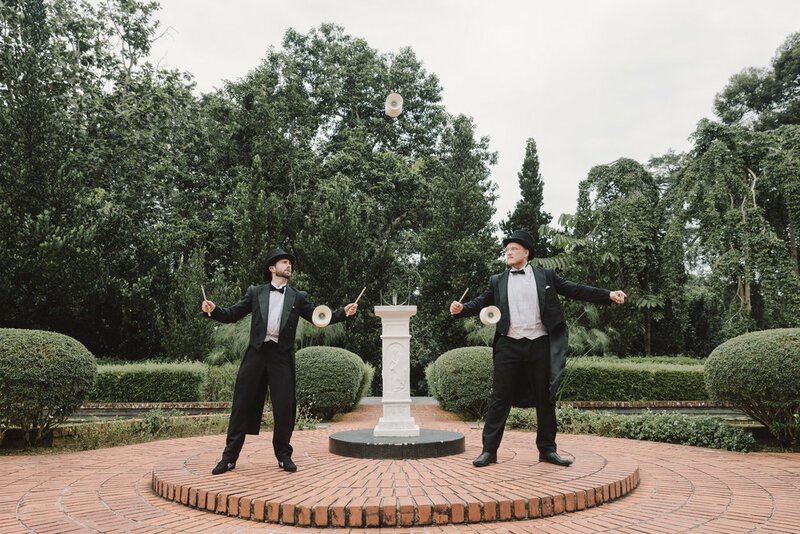 Perfect as a circus act for corporate entertainment or Perfect for entertaining guests at a wedding reception. Acrobatic juggling magicians! This is truly unique entertainment!